Lightweight & Portable: Outdoor Folding Stool Chair weighs only 310g/lbs, but max load up to 80kg/176lbs. Can be folded into compact size and a special designed bag is attached for convenient carry. 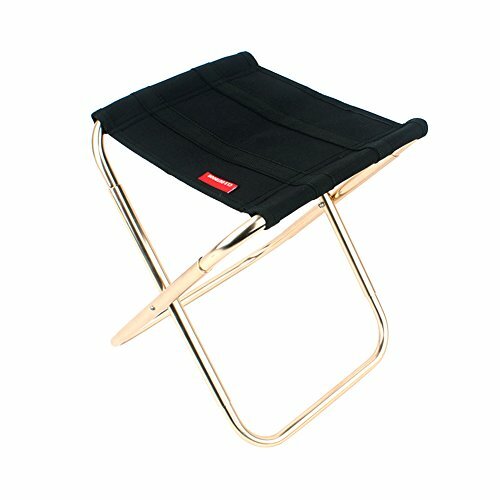 Multi-Purpose Folding Stool Chair: This Camping Chair is ideal for all kinds of outdoor and indoor activities, such as bedroom, dorm, office, pool, yard, patio, beach, patio, sports meeting, picnic party, camping, BBQ/barbecue, fishing, mountaineering. Easy to use: Chair sets up quickly and easily using an aluminum frame similar to the design found in many lightweight tents; Foldable,easy to carry around in camping, traveling and other outdoor activities. With Drawstring Bag for Easy Storage: Perfect for traveling, camping, a day at the beach, an outdoor concert, fishing, hunting, golfing, etc. If you have any questions about this product by Yunhigh, contact us by completing and submitting the form below. If you are looking for a specif part number, please include it with your message.